Hello! 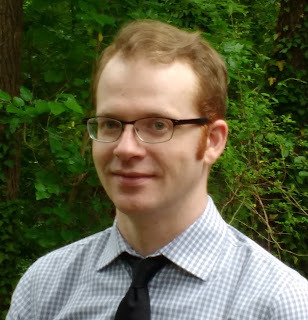 My name is Patrick Holt, and I'm an Adult Services Librarian in Durham, North Carolina, where I'm a co-organizer of the annual Durham Comics Fest and the writer of a monthly e-newsletter of new and notable comics and graphic novels in the library. Since graduating from UNC-SILS in 2009, I've thought of myself as an aspiring comics librarian, but in trying to get rid of that "aspiring", I've seen how tricky it is to find resources for comics librarianship. So I started this blog! Here (with any luck) you will find reviews of books, podcasts, and other works that I think are relevant to the field, interviews with librarians doing good comics-related work, and other bits and pieces of hopefully-useful information. (I will not be reviewing comics and graphic novels themselves, but there's no shortage of that going on in the world.) I don't have any background in writing, so I can't speak to the quality of my work, but I'm always, always happy for feedback. Collaborators too! Do you have a suggestion for a comics librarianship resource, or do you want to contribute to this project? Or do you just want to take me to task for my evaluation of a given resource? If so, please leave a comment or contact me at patrick.d.holt@gmail.com.